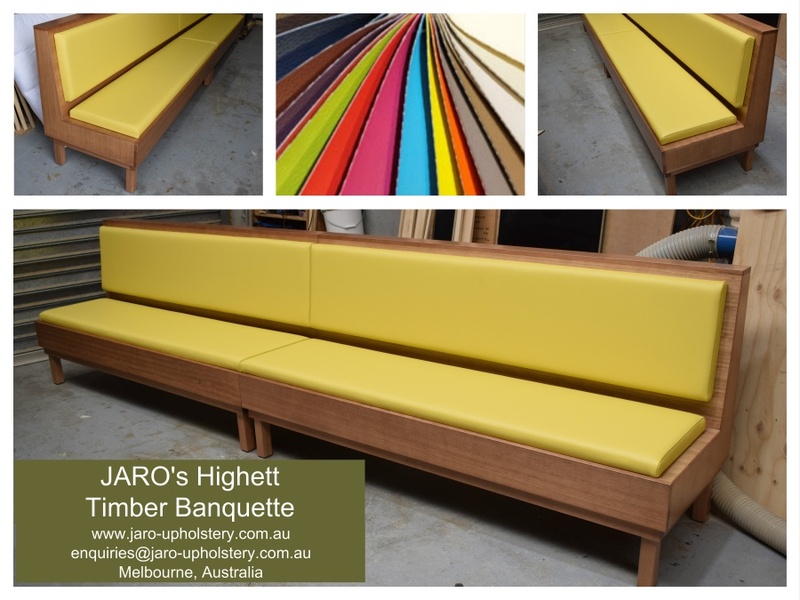 commented on "Our new Highett Timber Banquette is available in many colour choices and textures including commercial grade fabrics, vinyl and ..."
Our new Highett Timber Banquette is available in many colour choices and textures including commercial grade fabrics, vinyl and leather. We can custom make to the exact size and timber colour you require. You can mix and match the look of the seat and back panels eg two colours or even a vinyl seat for easy cleaning and a plain or patterned fabric back for looks. 100s of combinations to select from. Can also be made with a rustic timber look. So many options. Email enquiries@jaro-upholstery.com.au for further information or to make a time to view all the options. Weekend and evening appointment also available. Don't forget to include a suburb if a delivery price is required and a contact number in case we need to discuss any details with you.